Calallen High School Calallen High School Softball. Check Index Below For Games Photos. 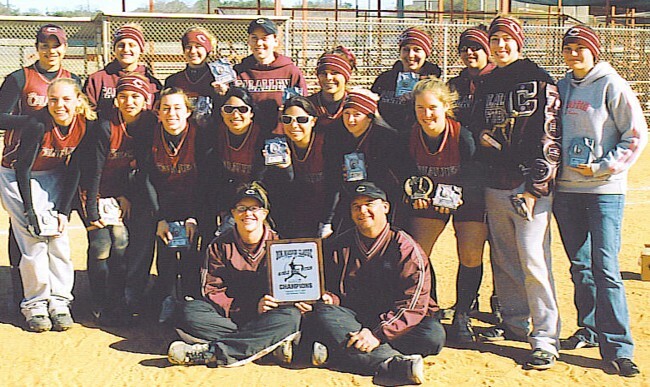 Calallen High School Lady Wildcats win the San Antonio Maddox Softball Tournament. Congratulations Champion Lady Wildcats! Photo Credit; Glen Merritt. Feb. 15-17, 2007. The San Antonio Maddox Softball tournament select three Lady Wildcats to the All-Tournament Team; Jessica Bryant, Angela Hook -- MVP, and Courtney Merritt. Congratulations Lady Wildcats! All-Tournament: Angela Hook, MVP, Courtney Merritt, and Jessica Bryant. Angela Hook hit Grand-Slam Homerun. 8-5 -- 3 Inning game. CLICK ON THE BUTTONS BELOW TO SEE YOUR GAME OF CHOICE. CC Tourney: Laredo United: 03-02-06. 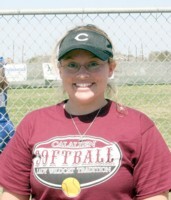 CC Tourney: ARANSAS PASS: 03-02-06. CC Tourney: San Benito: 03-02-06. 2006 ALL SPORT GIRLS BANQUET: 05-06-06. ROCKPORT FULTON April 16, 2005. SOUTH SAN May 13 , 2005. KINGSVILLE INVITATIONAL SOFTBALL TOURNAMENT 03-7/8/9-03! The Calallen Journal Article: 02-20-04. 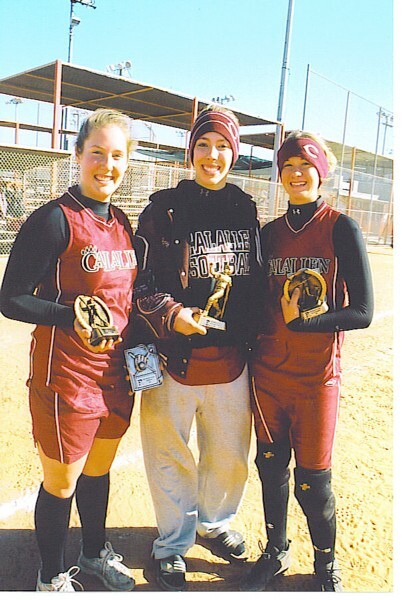 THANK YOU FOR VISITING THIS SOFTBALL PAGE OF THE 2005 FIGHTIN' LADY WILDCATS.